Solar flood lights are one of the most commonly used, most cost-effective types of solar lights available on the market. 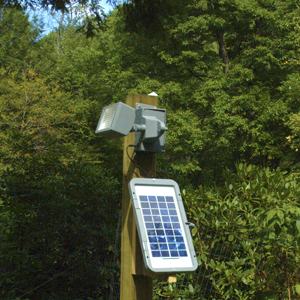 Solar flood lights are used by residential, commercial and municipal customers around the world and across the United States. Solar flood lights are used for large and small area lighting, but can also be used as security lighting, parking lot and driveway lighting, as well as for large and small sign lighting. A good solar flood light has so many uses for a company that is looking cut their energy costs and put on a greener, more eco-friendly face for their communities and their customers. Interested in learning more? Check out all of our Solar Flood Lights here.